Hippos, malaria and capsized canoes were among the hazards for National Geographic researchers paddling along an Angolan river that had been barely studied. On a separate survey in Angola, a conservationist drove on remote tracks where wrecked tanks and other remnants of decades of civil war are still visible. "The ghosts of war are still there in the landscape," Seamus Maclennan, a member of the New York-based Panthera group, wrote in an email. "Tanks and shrapnel from 30 years ago are still strewn across marambas (wide river valleys) in some places. Gutted buildings pockmarked with bullet holes remain in small villages." The southwest African country was virtually inaccessible to international conservationists because of decades of conflict that ended in 2002, leaving at least half a million people dead, several million displaced from their homes and infrastructure devastated. Now groups are getting more access to a nation with deep poverty as well as corruption and considerable suspicion of outsiders, working with Angolans to assess areas where wildlife was decimated and still faces pressure from poachers. They say the situation is dire, but there's potential to rebuild. Demining groups say the continuing removal of explosives left over from the war will help to make some wildlife areas safe for tourism. Only an estimated 10 to 30 lions remain in Luengue-Luiana and Mavinga national parks, which take up 84,400 square kilometers (32,590 square miles) in Cuando Cubango province in southeast Angola, according to Panthera, which aims to protect wild cats and their habitats. The group concluded that the low number is due to the relative scarcity or virtual non-existence of species, including buffalo and wildebeest, that lions favor as prey. Poachers kill such animals for the bushmeat trade. 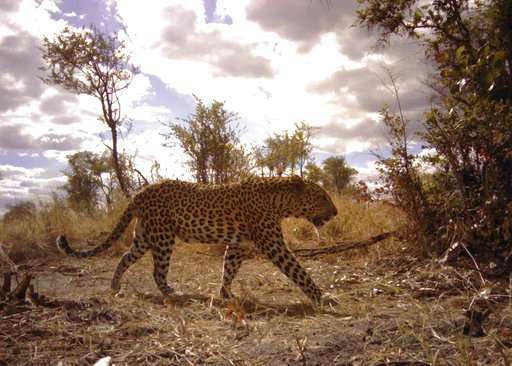 Panthera proposes training local rangers and building tourism in the parks, which form part of a loose, cross-border network of conservation areas in Angola, Botswana, Namibia, Zambia and Zimbabwe. The Angolan section was a stronghold of the UNITA rebel group that became an opposition party after leader Jonas Savimbi was killed in the civil war. Today, some old UNITA flags fly in a region that includes Jamba, where Savimbi was based, and Cuito Cuanavale, site of a Cold War-era battle involving troops from Cuba (siding with the Angolan government) and apartheid South Africa (backing UNITA). "Jamba is in the heart of the area where we plan to work," said Paul Funston, senior director of Panthera's lion and cheetah programs. "I also visited the site of one of Savimbi's houses ... On the road we followed to locate the house still stand two 105 mm field artillery cannons to welcome any vehicles driving towards the house." The National Geographic team operated in the same region, surveying water quality, plant and animal species and human impact on the environment after starting their nearly two-month journey at the source of the Cubango river, which supplies much of the water in Botswana's Okavango Delta, a UNESCO World Heritage site. The war in Angola, a former Portuguese colony, "preserved this place in time" and "very few people interact with the people along these rivers," team member Steve Boyes said live on Facebook on Sunday after the expedition ended. Oil-producing Angola, which recognizes the money-earning potential of tourism, marked U.N. World Environment Day on June 5 by burning trafficked ivory tusks and carvings at Quicama, or Kissama, park in the northwest. The Angolan military has assisted with security for the critically endangered giant sable antelope, which is found in no other country. There should be more emphasis on training and good working conditions for rangers who might otherwise turn to wildlife trafficking, said Vladimir Russo, head of Fundacao Kissama, a conservation group based in the capital, Luanda. He said in an email that "without the effective strengthening of the national protected areas system, we will continue to have national parks and reserves only on paper." 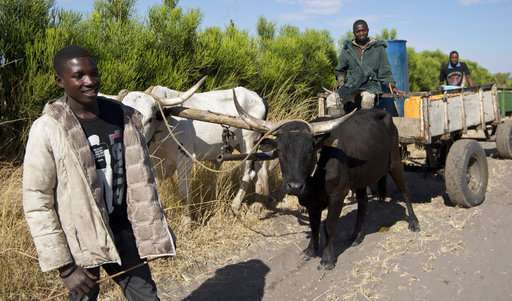 The disparity between the elite's wealth under President Jose Eduardo dos Santos, who took office in 1979 but won't run in elections next month, and the majority of impoverished Angolans contributes to a "heritage of disrespect" that also hurts the environment, said Brian Huntley, a South African who worked as an ecologist for Angola's Portuguese-run national parks in the early 1970s. 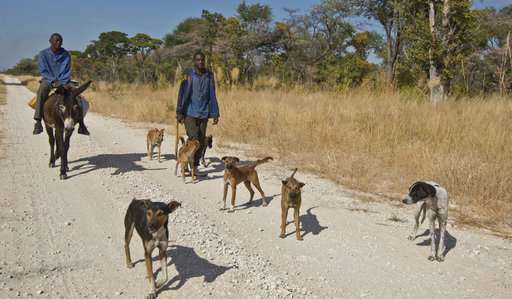 For example, the small number of rangers in Iona, Angola's biggest park, don't have enough fuel for patrols while top government officials spend lavish amounts on high-profile functions, Huntley said. Angolan ichthyologist Adjany Costa welcomed the country's attempts at outreach. "The way that they're letting people in and the way that they're looking at conservation, it is pretty exciting," Costa said. "And it's going to be a long battle."